Linseed oil is a known and liked product. Do you think that you know everything about it? Let us introduce to you, the most common questions about linseed oil. 1. Where does linseed oil comes from? Linseed oil is extracted from flax, or common flax through cold pressing. 2. What form does linseed oil have? 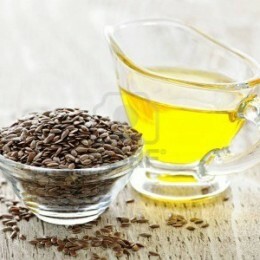 Linseed oil has yellowish colour and very specific, sharp taste. 3. How long can linseed oil be used? Linseed oil preserves its properties only 3-4 weeks after opening the packaging. 4. How should linseed oil be stored? Because of its short expiration date, linseed oil should be stored in low temperatures (4-10°C), without access to light and in a locked bottle made of dark glass. 5. What ingredients will we find in linseed oil? 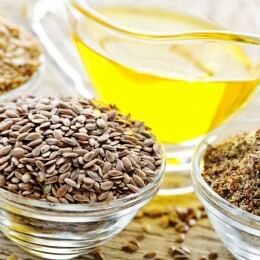 Linseed oil is rich in acids omega-3 (50%) and omega-9 (15%) and other unsaturated fatty acids. Besides those, in linseed oil we will find vitamins B, A and E, fibre and lignan. 6. What properties does linseed oil have? Researchers have shown that linseed oil has rich medicine and cosmetic properties, among many: regulates level of fat and hormones in an organism, stimulates circulation, nourishes and regenerates body cells, slower ageing and in general makes health better. 7. In what problems can linseed oil help? Linseed oil helps in problems such as: obesity, fatty liver, skin problems, hormonal disorder, PMS, allergies, depression, sleep disorder, heart diseases, rheumatic diseases, osteoporosis, Alzheimer, senile dementia, prostate, migraine, vision problems, etc. 8. Does linseed oil work on weight loss? Yes, it does. Linseed oil is a fat, which burns fat. It boosts metabolism and fat burning, but also regulates digestive system and the layout of the laxative. 9. Is linseed oil suitable for ingestion? Linseed oil is food oil. It can be used as a dietary supplement or to prepare salads or dressings, etc. You shouldn't use linseed oil for frying, because it is sensitive to high temperatures. 10. How else can you use linseed oil? Linseed oil can be easily used for external use - as a conditioning cosmetic or to support conditioning of skin, hair or nails. 11. 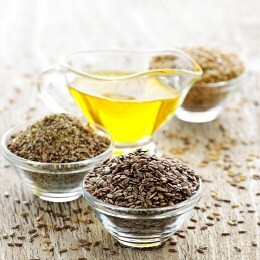 What is better - oil, ground flax seed or whole flax seed? Ingestion of unprocessed flax seeds will not supply organism with all the ingredients, because digestive system is unable to digest them. Besides, linen in this form can be harmful. 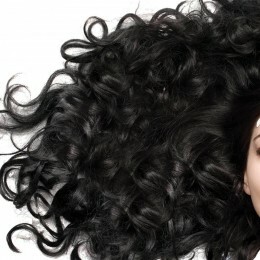 It is better to use ground flax seed with hot water or added to sour juice, because it will limit its poisonous effect. The safest form of linen is linseed oil. 12. 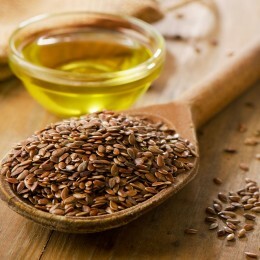 Can pregnant women use linseed oil? It is recommended for pregnant women to use linseed oil, because content of omega acids eliminates risk of premature labour and delivers necessary ingredients for the proper development of the child.